April 4, 2011 – Journey to my heart…. I am finding that in the intensity of my current workout’s, I am needing, once again to refocus the clarity of my vision. I have a vision for the woman I am committed to being. I don’t want to settle short and yet it is easy to begin to recalibrate my vision to try to find some shortcuts. I found this picture as I reflected on this question. 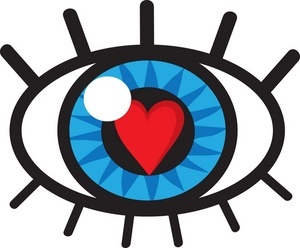 I love the heart in the middle of the eye. The journey to my heart, the pursuit of my vision, the way I chose to live each and every day requires me to have clarity and heart. I am committed to being a woman who lives emotionally in touch with myself and others. I am committed to being a woman who cares as much for myself and I do for others. I am committed to being a woman who nurtures my mind, body and soul to ensure wellness and wellbeing. I am committed to being a woman who values people more than things and experiences more than finances. I am committed to being a woman who lives responsibly in all God has blessed me with. I wonder if your vision challenges you enough that sometimes you want to find a short cut…. I understand that feeling right now….but I am staying true to the desires of my heart. I believe in the end, it will be well worth the effort! Author trishborgdorffPosted on April 4, 2011 April 4, 2011 Categories UncategorizedLeave a comment on how is your vision….